‘Physician, heal thyself’ is advice that our instructors on the Perfect Fit team have no hesitation in following. In fact, many of them first took up Pilates because they were suffering with back pain or post-natal problems, and were so impressed with the results that they trained to become professionals and share its benefits with others. Shelley, for example, was suffering with disabling back pain as a legacy of her career as a ballet dancer, a profession where back pain is pretty much an occupational hazard. A friend recommended Pilates, she tried it and found such relief she never looked back. Indeed she subsequently trained as a STOTT Pilates instructor, in which she now specialises at Perfect Fit. Similarly, Emma, whose second childbirth left her body feeling ‘broken’ describes her remedial Pilates course as ‘life changing’. 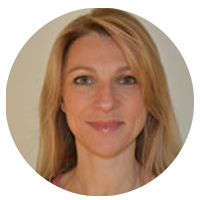 So much so that she ‘wanted it to be part of my life forever’ and embarked on a training programme with Body Control Pilates and is now a level 3 Pilates teacher at Perfect Fit. Firstly, if you have a medical condition we’d advise you to check with your GP or health care provider before starting a Pilates course. 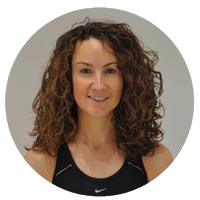 Several local physiotherapists, osteopaths and GPs refer patients to our studio on a regular basis. The standard of care and quality of teaching at Perfect Fit is recognised by the local medical profession, so you can rest assured you’ll be in safe hands. Secondly, it’s important to ensure that the Pilates instructor you use has experience in the Pilates exercise system relevant to your specific condition and is fully qualified to carry it out. As the examples we’ve given illustrate, we have team members who are trained specialists in their fields, and are often uniquely qualified to advise you on a problem because they have suffered with the same condition themselves. Finally, when treating significant back pain or severe post-natal problems, we would recommend that you opt for one-to-one sessions with our specialists rather than our group or mat classes. The reasons for this should be obvious, and learning the correct set of exercises under close supervision is worth the slight additional expense, as the alternative could actually make the problem worse. Having said that, once an appropriate exercise regime is learned, you will be able to join in group or mat sessions, and even carry out some simple but effective exercises at home. All in all, we believe you’ll find Pilates truly therapeutic, not to mention a great way to keep slim and fit. Who knows, perhaps you’ll become such a convert you’ll train as a Pilates Instructor yourself!